Interchangeable anvils make the Rapid 31 three heavy duty pliers in one. Interchangeable anvils make the Rapid 31 three heavy duty pliers in one. Easy to load and clear, this all steel pliers with nickel plated finish features an ergonomically designed handgrip with a finger stop for added comfort. 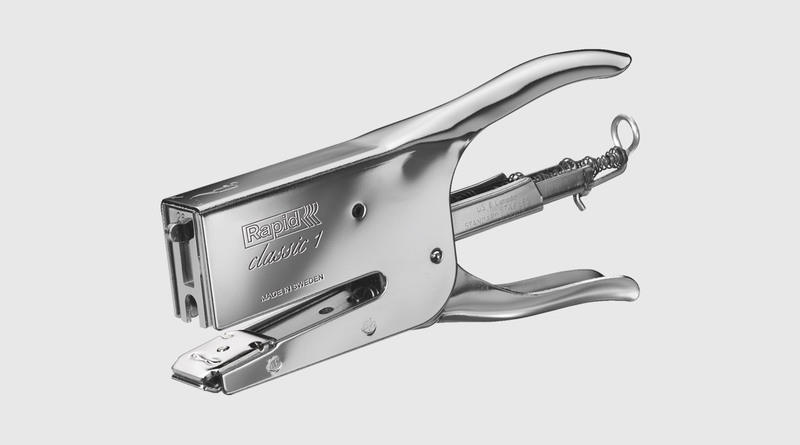 Its powerful action makes it ideal for sealing padded bags, boxes, sacks and other light packages.